Investment is, without any doubt, a fundamental part of any given economy. Especially if we refer to foreign investment. With the emerging economies boom, the election that investors need to make in terms of which country to place their capital into turns to be somehow complicated. Nevertheless, in Balcells Group we have the objective to make that decision something simple. Why? Because now is the moment to invest in Catalonia. This Spanish region has suffered, during the last months, a high level of uncertainty. That is due to the lofty volatility of the political situation of Catalonia. At a macroeconomic level, the political aspect has a relevant weight in the sense that it can really affect the future growth expectations. 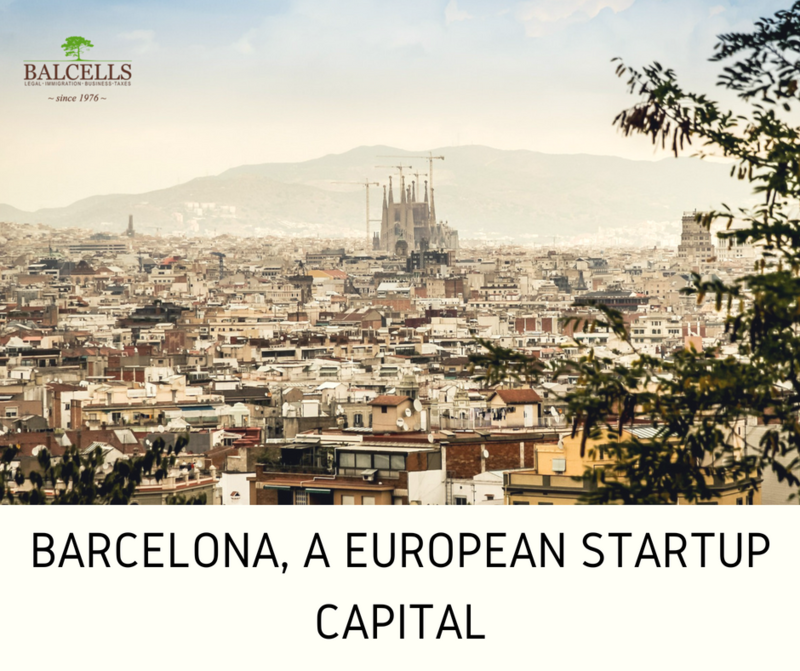 This can naturally plant an uncertainty seed in the minds of potential investors with an intention to buy or rent a property in Barcelona or any other region in Catalonia. Nevertheless, the market has responded in an opposite way. We have been able to observe an upswing movement during the last months. The growth of the market is stabilizing and fastly reaching the growth levels of Pre August of 2017. During the first quarter of 2018, Barcelona registered an increase of 1.17% in sales in comparison with the previous quarter. We are facing similar numbers than those of Pre August 2017. This, without any doubt, creates an idyllic situation to get into the game. The market is recovering, and the growth of the second quarter will be intensified by summer sales. Remarkable is the fact that it is during this summer period when many real estate agents in Spain take advantage of the wonderful weather conditions and close more sales. And How is it Going in Spain? The economic Spanish growth goes hand in hand with the Catalan one. During the last month, Spain registered an increase of 2.7% in respect with last years growth. Due to low interest rates, it seems like it is the ideal moment to invest in the Spanish territory. Furthermore, the lending climate is also favourable. Thereby, the ever-growing real estate market in Spain has achieved the same levels at which it was before the political situation in Catalonia started. Low interest rates, a stronger dollar (something positive for American investors), and the knowledge from the agents that interest rates will sooner or later go up are the determining factors that can explain the remarkable growth of the real estate market in Spain. According to a Financial Times ranking (the one from the fDi magazine), Catalonia starts to be the best region at the south of Europe to invest during 2018 and 2019. On top of Istambul or Madrid, the Catalan region occupies a predominant position in the continent. How is that possible? Basically due to its successful strategy to attract foreign capital. The Catalonia Trade & Investment association has been able to convince many foreign firms to settle in Catalonia, which has boosted both investment and reinvesment. Besides that, the fact that during the last years Barcelona has turned into a European capital of entrepreneurship contributes even more to this leadership position. Catalonia and Spain are still a really attractive proposal for real estate investors from all over the world. A great weather, a really active local population and a delicious gastronomy are factors that prove the Spanish attractiveness. That is why it is now a perfect moment to invest in this country. Nevertheless, buying and selling assets in Spain can be a bit complex from the legal point of view, especially if we are foreigners who do not know how does the Spanish regulation works. But this won’t be a problem. At Balcells Group we have an especialized team of lawyers from the real estate sector that will provide you with careful advise and guide you throughout the whole process. Are you interested in buying, selling or renting assets in Spain? Then do not hesitate to contact us for more information! Pls advise if I open a subsidiary of my company in Barcelona or buy a real estate, can I get a residence permit for my family and myself?? Hi Radhouane. In your situation, we would strongly advise you to get the golden visa (investing in any kind of Spanish asset), which will allow you to get the residence permit both for you and your family, plus working here. And that much more easily than if you did it through the entrepreneur visa. You can find more information regarding golden visa here: https://balcellsgroup.com/services/immigration/, but you could also contact us in order to let us help you manage the whole process: +34 936315139 (telephone), info@balcellsgroup.com (email). Thanks for the interest!